Gorgeous Cindy. I love the photos and the story and I love how you used a fearless kit to scrap your daughter's dance photos. Your clusters are as beautiful as always. LOVE this!!! 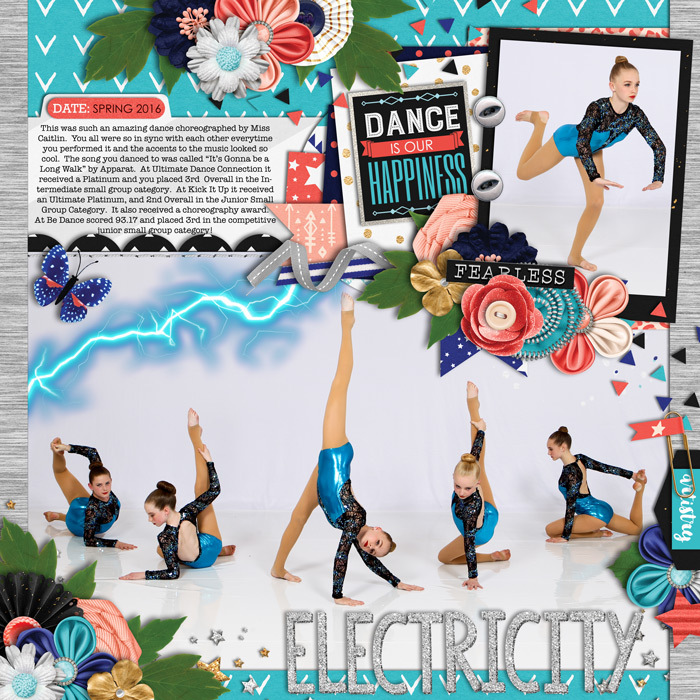 Love the photos that you were able to scrap and how you captured the electricity of this page with the elements and titlework! I am totally stalking your pages right now because they are all my favorites!